Introducing Hannah, half of indigo & iris. Describing themselves as the “cherry to each other’s sundae,” Hannah Duder & Bonnie Howland are the perfect example of what you can achieve with a strong goal in mind, hard work and a great business partners to share the journey with! We chatted to Hannah to find out more about their beauty brand and why they decided to give a damn. Tell us a bit about indigo & iris. Bonnie Howland, our founder, was 18 when she went to Vanuatu and saw the difference the Fred Hollows Foundation NZ was making on people's lives. Shortly after the trip, she went to the NZ Fashion Week and was hit by the contrast and the difference of priorities and problems compared to the Islands. The wrong colour of shoe seemed to have the power to ruin a person day! Meanwhile in Fiji people were blind, when a simple treatment could have avoided that. Having witnessed first hand the work of the Fred Hollows Foundation NZ, she decided to roll up her sleeves and find a way to help. 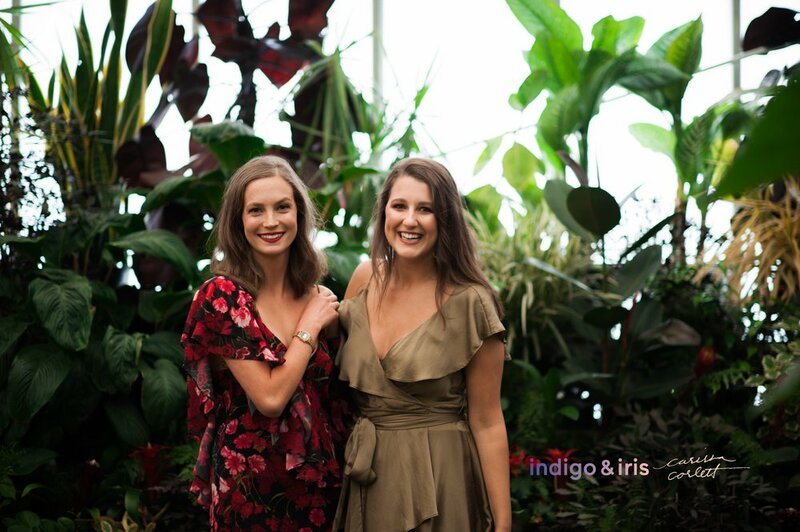 What does Corporate Social Responsibility means to indigo & iris? It means everything to indigo & iris. It is at the core of our business and what drives our company. We are determined to prove that you can do good, while doing good business. We believe that companies are driven by their bottom line, and thinking about profits alone is causing all the social and environmental issues we are facing today. All businesses need to look at the negative impact they are having on the world and not allow money and shareholders’ pockets to dictate what they do. What advice would you give to other businesses looking to dip their feet in corporate social responsibility? Don’t dip your feet in - jump in! It isn’t just your responsibility as a corporate it's your responsibility as a human being living on this planet. You need to consider all the stages of your business: where your materials are coming from, who is making your products, who is losing out from your services, what resources are being used, how is the environment being harmed. Stop thinking just about your wallet and start thinking about what you can do to make sure we have a planet to live on in 50 years. Are there any other businesses that you think are great at corporate social responsibility? There are not many beauty brands that come to mind, but a lot of companies changing the game. Some consumer-facing product companies I idolize would be Lush, Thank You, and Duffle & Co.
What do you think great corporate social responsibility looks like? It starts with actual organisational change. You need to be able to report actual impact and see real change happening. It's not about sponsoring a charity fundraiser, or putting a poster on the office wall counting the number of trees you have saved using less paper. It is about looking at what the company actually does, the product it makes or the service it provides and understanding the impact they have on our world. And then doing something about it. If Coca-Cola was actually socially responsible they would stop selling plastic bottles, they would stop selling sugar-filled drinks altogether. What’s next for indigo & iris? More products and more donations to support projects we care about. We want a person's full face of makeup to be making a positive difference in the world! Interested in finding out how your business can be more like indigo & iris? Want to know more about charitable causes like the Fred Hollows Foundation in need of support from NZ businesses? Step Changers is here to help you.